Insurance companies are requiring that homeowners replace their fuse boxes with circuit breaker panels in order to comply with the current fire and safety standards. Even the old Federal Pacific Electric FPE Panel/Breaker Hazard Summary breaker panels installed in new homes built in the 1950s, 60s and 70s are documented to be a fire hazard. 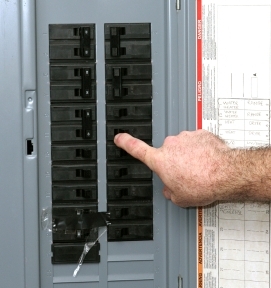 Make an appointment today to have your service panel checked by an expert.